The Guide also targets the UN organizations, since working together in a more decentralised and horizontal manner is an organisational challenge for many UN agencies, including the ILO. 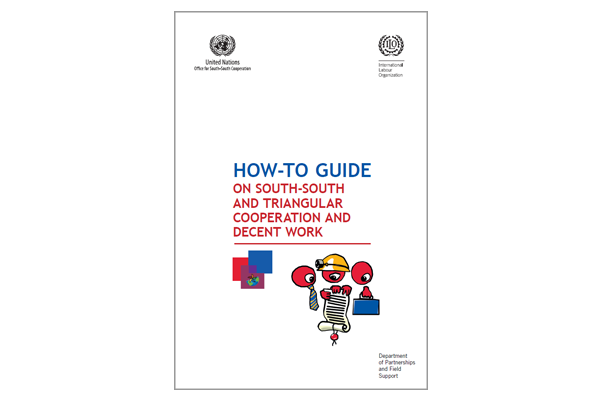 It explains in a practical way the definition of South-South and triangular cooperation, its main principles, the differences between South-South cooperation and triangular cooperation, the process that should be followed to implement projects in a South-South and triangular framework, and the actors involved. There is also a section on “Do’s and Don’ts” which will help improve understanding of their basic characteristics and apply their principles in practice.